You may travel by using Google Maps. …head towards Munich, then change on the A8 heading to Salzburg. After the Chiemsee, take the Traunstein-Inzell-Siegsdorf Ost Exit (No. 112) and follow the signs leading towards Inzell. After nearly 6 km, you will reach the Town of Hammer. On the left hand side, slightly set-back, you will find our Inn. …around Salzburg, cross the border to Bavaria and keep going on the A8 towards Munich. Leave the motorway taking the Traunstein-Inzell-Siegsdorf Ost Exit (No. 112) and follow the signs leading towards Inzell. After nearly 6 km, you will reach the Town of Hammer. On the left hand side, slightly set-back, you will find our Inn. …arriving at the Traunstein Railway Station, take the RVO Bus 9526 Traunstein-Inzell-Bad Reichenhall (Stop is called Hammer-Kirche and our Inn is on the opposite side). Choose your preferred category out of the pictured room types and enter. Our spacious Family Comfort Rooms are comfortable hotel rooms with 2 separate (bed-) rooms. Our Comfort Rooms are comfortable hotel rooms with bath/shower and WC, flat screen TV and balcony or terrace. Our Standard Rooms are cosy hotel rooms with bath/shower and WC, TV. Our “ Old House Rooms” in the main building are plain rooms with shower/WC and TV. 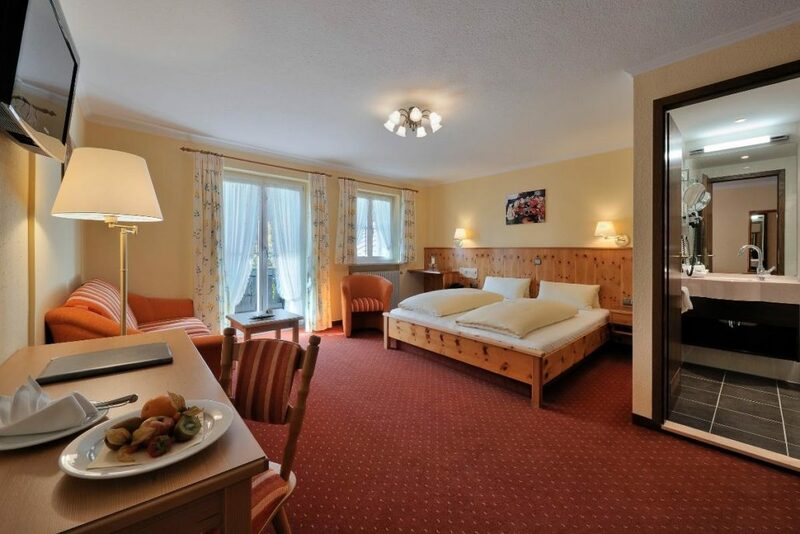 Our spacious Hotel Apartments „Old Forge“ are double bedrooms, either with separate or visually separated living area with cosy sitting area.